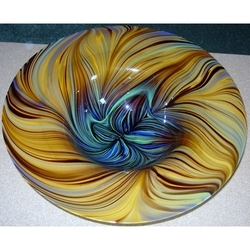 Description: This stunning bowl is 15.4 inch diameter and has a ground out pontil mark on the white glass underside. 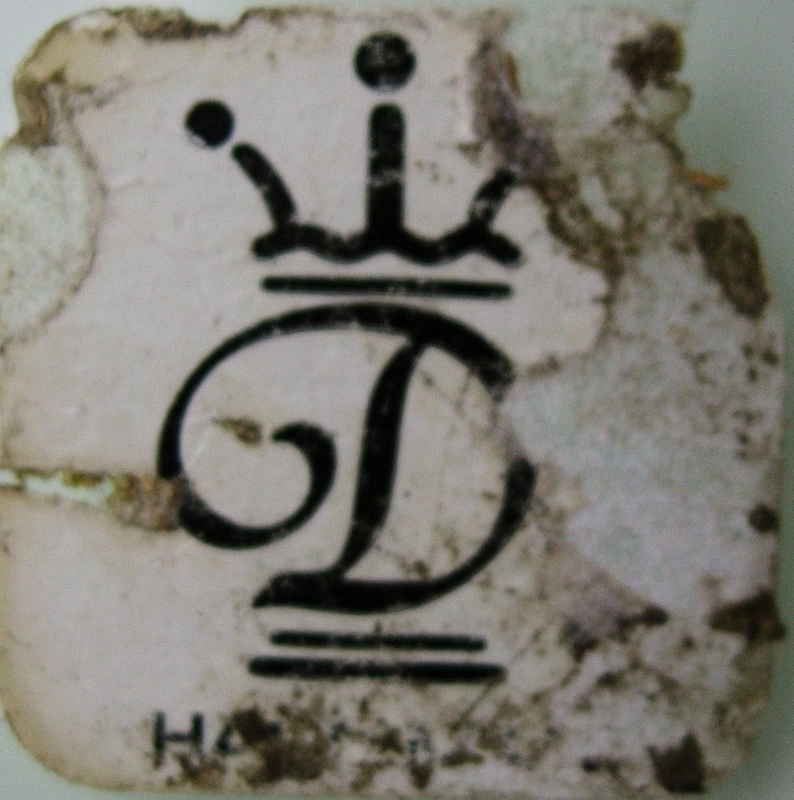 There is a label which shows a D under a crown, very similar to a Crown Dresden porcelain mark. 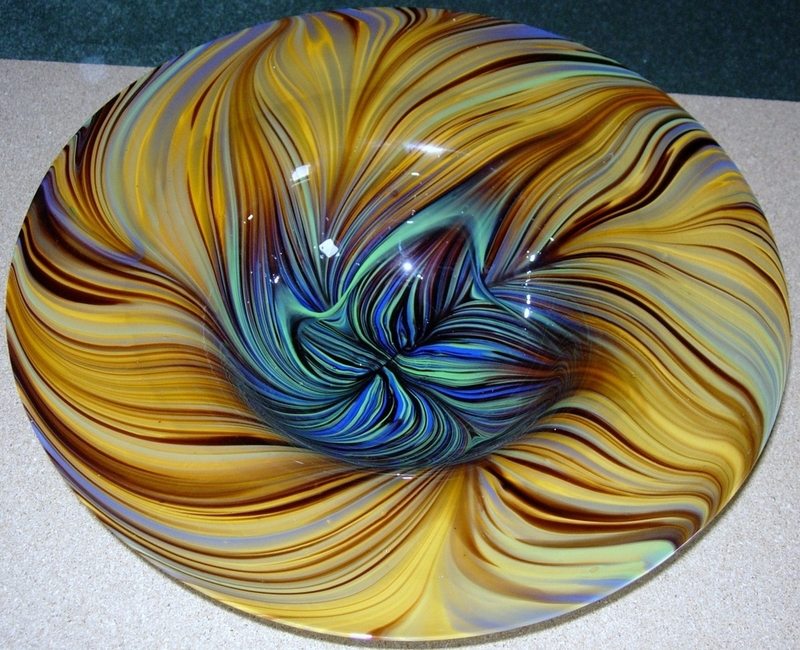 Who made this lovely piece?